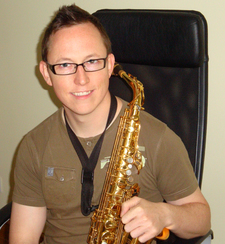 Welcome to DanChristian.net, the home of Saxophone, Clarinet and Piano Tutor – Dan Christian. Here you will find saxophone and music theory lessons and resources. The Saxophone is an awesome instrument and for this very reason I have decided to develop a Saxophone starter course, this is by no means a replacement for one to one lessons but it’s a good way to enhance your practise and get a good grounding! I have over 20 years playing experience and over 10 years teaching experience on Saxophone, Clarinet and Piano. Music is my life, my passion and my hobby and most of all I get my kicks from helping people become the best musician they can and to take the frustration out of taking up a new skill. No matter how old you are! Posted on Apr 07 By dan. Skype / Google Talk Saxophone Lessons Now Available! Posted on Sep 07 By dan. Skype Saxophone Lessons now available from the Skype Saxophone Lesson Page! You can now purchase a block of, or a single lesson from the Skype Saxophone Lessons page but hurry as numbers are limited and I will pull the button once numbers are full. Posted on Aug 05 By dan. Hi everyone and first of all apologies because, as I'm sure you've noticed, I've not been all that active on DanChristian.net recently. The reason for this is because I've been working on preparing content for the next level in the evolution of my work here. I have been working on a new site called SaxCasts.com. This website has allowed me to spend much more time on each video, structure courses and create resources to infinitely enhance the amount of learning for you guys. Posted on Sep 19 By dan. Posted on Mar 25 By dan. Check out this step by step Saxophone Beginners Course created by Dan Christian - Click here to start your lessons now!